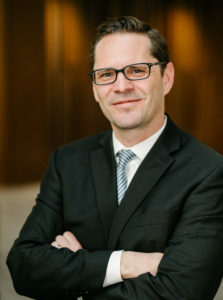 Christopher Peterson is Director of Financial Services and a Senior Fellow at the Consumer Federation of America where he focuses on consumer financial services. He is also the John J. Flynn Endowed Professor of Law at the University of Utah’s S.J. Quinney College of Law where he teaches contracts, commercial law, and consumer protection courses. Professor Peterson previously served as a Special Advisor in the Office of the Director at the Consumer Financial Protection Bureau, in the Office of Legal Policy for Personnel and Readiness in the United States Department of Defense, and as Senior Counsel for Enforcement Policy and Strategy in the Consumer Financial Protection Bureau’s Office of Enforcement. A recognized authority on consumer finance, Professor Peterson has testified in Congressional hearings and presented his research to the Federal Deposit Insurance Corporation, Federal Reserve Board of Governors, and at the White House in both Democratic and Republican administrations. Professor Peterson’s books include the Thompson/West law school textbook Consumer Law: Cases and Materials and Taming the Sharks: Towards a Cure for the High Cost Credit Market. He is the recipient of multiple awards for his research and public service including the American College of Consumer Financial Services Lawyers’ outstanding book of the year prize, the National Association of Consumer Agency Administrators’ Consumer Advocate of the Year award, and the Department of Defense’s Office of the Secretary of Defense Award for Excellence.